To gain the Root of the Pretanic Tree of Trees,Is the Sacred Journey that Rides the Winds into the Faerie Realms with the Soul and Energy of the One who is of the Tuatha In Kin and Sidhe in Spirit.The Root is at the Base that flows down into the Underworld in the Form of Matter as Energy Moving through the Worlds at a Pace with No Time and No Space.The Immrama Is the Journey Of Answers and Wonders that await the Pagan Soul on its Journey. 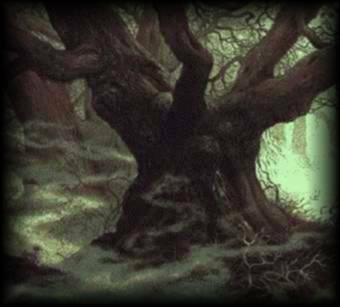 First the Deep Breathing,the Rhythmic Life Breath that reconnects us to the Life Pulse of the Mother Earth.And The Beginning Visualizations that begins the Immrama,Sensing and connecting as the Roots of the Tree,and their Embrace and Pulling Downward into the Realms of the Sidhe. A Talismanic Celtic Cross or a Rowan Cross is taken with one into the other realms for Soul Protection and Truthful Spirit Contact if Made.This Guards the Physical Body Whilst the Soul Embarks on the Immrama,and the Soul On the Inner Worlds of Time and Space Beyond,and within the Roads to the Underworld. Oftimes the Mist amongst the DragonStones are Protective enough except when the Soul Departs rom the Mundane Shell for a Journey.A Talisman of Stags Skin,Bone with Oghams carved into it,A Talisman of a Triskele on wood ,Clay,or Metals and the Muince(Torc),Also An Adder Stone(Glain Na Narooee)is Charmed and Wore about the Neck on a leather skin Thong dangles about the Heart Area.This Stone is Dedicated to the Sidhe and Tuatha and Traditionally is never Removed or Far from the Path Walker.It is also the Badge of Rank or Office. Soon the Guided Visualizations to the Four Faerie Cities and to Greet the FourPoets will appear on these Pages with Rituals in there entirety as I know them.